By Gareth Breeze, protective VR case expert at the Case Farm. There are some amazing ways that companies are using VR for business success. With the arrival of affordable, consumer-friendly headsets, what was once a quixotic Sci-Fi fantasy is now becoming a real part of our everyday lives, and it is changing how we do business in ways we never thought were possible. The rise of VR has done much more than give us 360 vision. It’s broken through previous barriers of communication, altered entire sales strategies, and completely transformed how companies train their staff. Needless to say it’s an interesting time to be alive, and a crucial time for business development. True business success lies in the ability to move with the times, and the words “keep up or lose out” are possibly more relevant than ever before. If you think VR technology is only for tech firms and video game makers, think again. Much like the introduction of the internet, it began with a specific use (military communications in the 1980s), but soon turned mainstream and took over every aspect of modern life. Do you know a company in 2018 which doesn’t have a website or use digital communication? Not a successful one, for sure. It’s true that the birth of VR into the mainstream world was primarily for enhancing entertainment purposes, but it’s professional growth has already started. According to research from Tractica, uptake of VR in business is going to outpace leisure and entertainment by 2021. In a virtual world, if things go terribly wrong you can press restart – not the case on an operating table or when flying a plane. VR offers a revolutionary opportunity to employers to train their staff in a consequence-free environment. Doctors and surgeons can now carry out complex procedures on 3D virtual patients, making life or death choices along the way without risking anyone’s life. Teachers have access to virtual classrooms to test their teaching methods and practice dealing with challenging behaviour, which can be observed and analysed by teacher trainers without any real children being involved. Of course, there are many, many more professions where VR is becoming a large part of training, and this is expected to grow much more in the coming few decades. Businesses are already discovering how stepping into a virtual world can result in a very real cut in costs. Allowing employees to practise their roles, whether initial training of later career developments, in a 3D virtual environment, has been known to save millions. The physical equipment that was once needed is now in the virtual realm, with in some cases digital supervisors, saving an extortionate amount for the company in the long run. The obvious cost of investing in this level of technology is high, but is an investment which will serve you and your company very well indeed. Architects have already saved large sums of money by converting to technology and virtual buildings for their development and planning. Not only does it allow clear representation to clients, it allows everyone involved to explore freely without travel and with much less time spent. 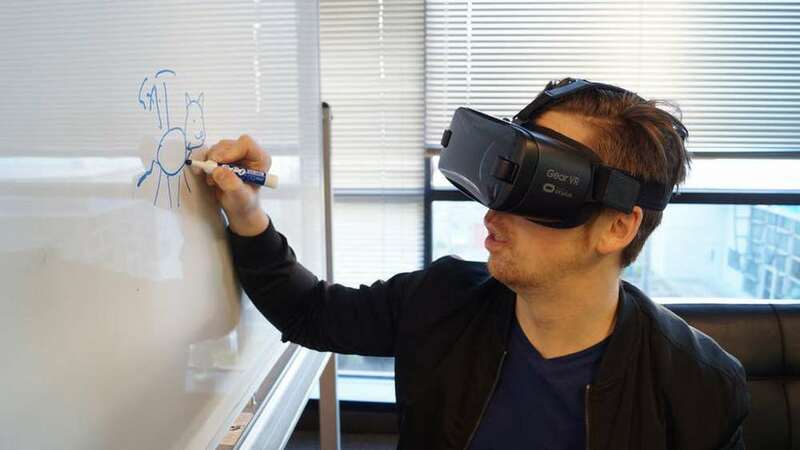 It goes without saying that if you run a company, you may need to make the switch to VR, but there’s no denying that it’s a big financial step to take for any business looking to adapt. Once you do make the investment, you’re going to need a protective case to store and transport your VR kit. VR cases by the Case Farm could be the perfect companion, catering for various different VR systems and keeping them from damage. With waterproof, dustproof and shockproof protection, your VR equipment will be helping your business grow for many years to come.